about Tierney…..Tierney Cacioppo is a Kansas City native. She has had an interest in art ever since she can remember. Tierney discovered ceramics and the pottery wheel at age 15 and it quickly became her biggest passion, which has remained true ever since. Tierney received her BFA in ceramics from the University of Kansas in 2010. She has won numerous awards throughout her career. Her sculptural vases and functional pottery have been shown in a number of galleries both locally and regionally. Her most recent work is functional porcelain pottery that plays with bright colors and bold designs. In January of 2015, Tierney bought Muddy Waters Studio in Lawrence, fulfilling her dream of owning her own clay studio. She is a seasoned teacher and brings a wealth of local knowledge and passion for clay and to the patrons of Muddy Waters Studio. about Zach…..Zach Palasz is a recent graduate from the University of Kansas living here in Lawrence. He received his Bachelor of Fine Arts in ceramics after completing his Visual Art Education degree. 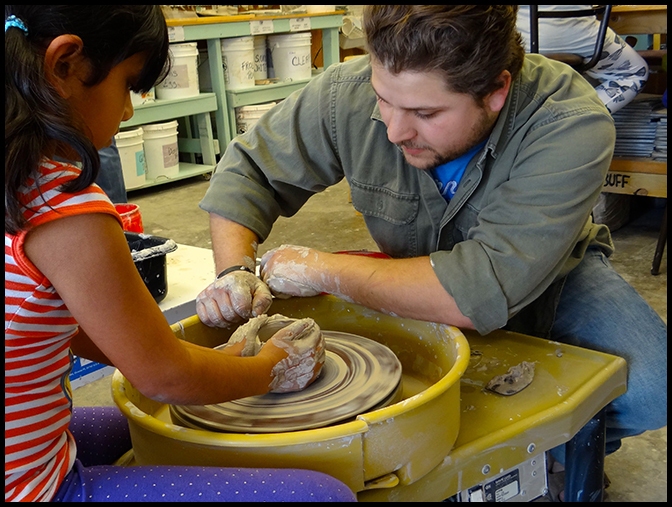 Zach has a passion for clay that drives his love for teaching. Zach works mostly with functional pottery. His surfaces reflect the atmosphere in which he fires his work. The colors and surfaces derive from soda/wood ash in combination with slips and glazes. about Rachel…..Rachel Norland grew up on a farm outside Lindsborg, KS. 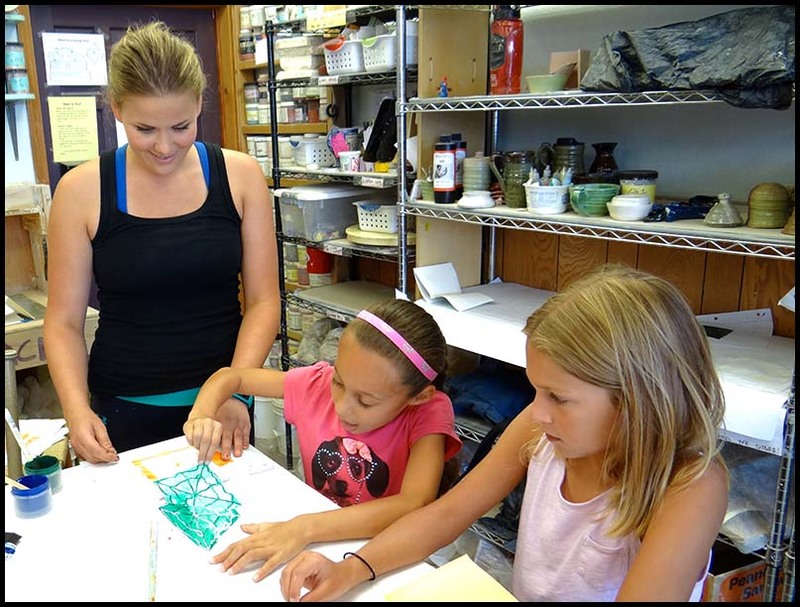 Her passion for art has been evident since she was very young. In 2007 she came to the University of Kansas to study Art Education and there she discovered her love for oil painting, with its wide range of color, texture and application. Rachel’s art has encompassed dynamic landscapes and the human form, along with their relationship to life. Her work has been shown at a number of local galleries. Rachel has also taught a broad mixture of age levels in a variety of settings.